The story of the day though is the presence of the agent representing Malcom in London. 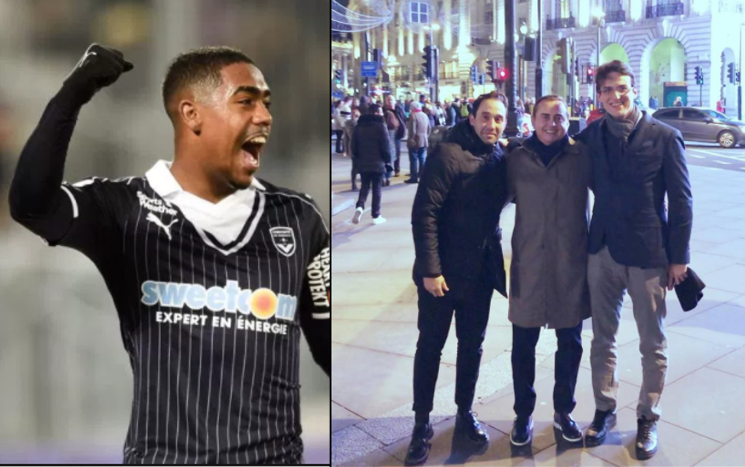 Leonardo Cornacini, a member of @Elenko_Sports, the agency representing Arsenal target Malcom posted a Facebook image of himself with two other men in London with the following caption. This is @elenko_sports …invading the land of Royal Majesty … #PremierLeague #FenomenoGarcia#TheIronMan — with Luis Fenando Menezes Garciain London, United Kingdom. The frenzy over the transfer of Brazilian and Bordeaux player Malcom has reached a fever pitch as Arsenal is trying to close a deal before sanctioning the sale of Sanchez to Manchester City or United. Having denied the possibilities of Alexis Sanchez leaving in January, it is now an open secret that the club hierarchy has given up on that and are willing to sell in January so long as a replacement is found. Although there seems to be a glitch around which club he will end up at the end of January, Man U seems to have overtaken City in terms of the offer to Arsenal and wages to Sanchez, but the player prefers City. In any case, something has to give if Arsenal lands a viable replacement. The club attention is squarely focused now it seems on Malcom, the possibility of Thomas Lemar and other players linked to Arsenal as possible Sanchez replacement is now but gone. During the mid-transfer window, what could he possibly be doing in the land of the Royal? during Winter? surely not for sunbathing!